Tubing violence shown here as Greenpeace tubers clashed with Susan G. Komen supporters in the Tube-ilation War of 2014, preserved ironically on YouTube. 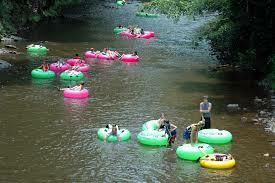 ANN ARBOR– Stating that the Ashley’s team-building event “smacks of too much effort,” defenseman Mark Woods opted out of the Ashley’s Annual Family Fun & River Tubing set for Saturday afternoon. Sutton was noticeably confused by Woods’s claim of tubing as too much work, reiterating the “floating” aspect of the event.